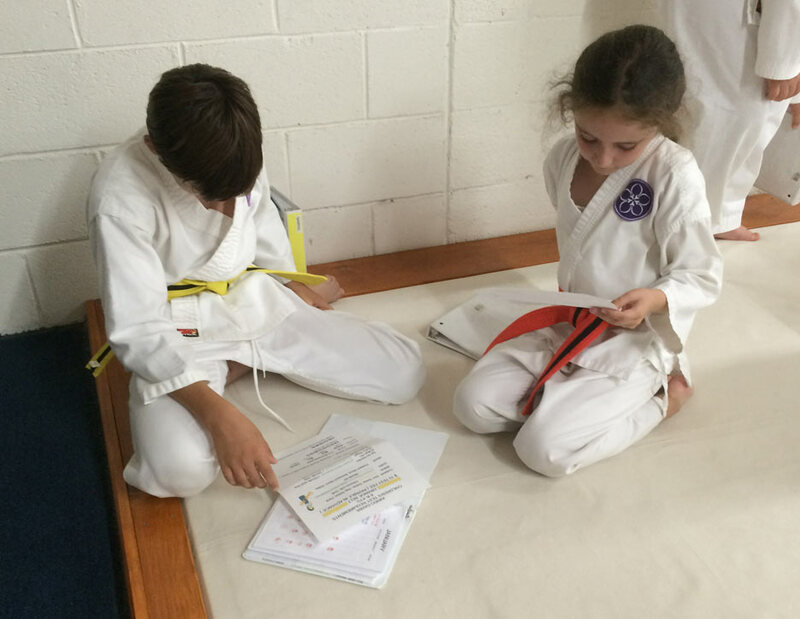 Noah and I reviewing our test sheets to see if there’s anything we want to ask Sensei. My purple belt test is coming up. This entry was posted on Wednesday, June 22nd, 2016 at 10:17 pm	and is filed under aikido, learning, milestones. You can follow any responses to this entry through the RSS 2.0 feed. You can leave a response, or trackback from your own site.